Anyone who played over the last few days probably noticed open holes on greens. Some of the holes opened up because wet sand had closed the hole during core dragging and did not allow the dry sand to penetrate. The rain from last week then opened up the hole. Also, in our haste to get all greens cored before the rains hit last week, we were a little light on our sand application and the time we took to blow sand in the holes. Today we added additional sand to the Pg, 1-4 and got almost every hole topped off. The staff will hopefully get the rest completed tomorrow or by Wednesday at the latest. A few of the greens were in good shape with a majority of the holes filled. The cool season tees on 2,3,5,10,14,17 were core aerated and material hauled away. We brushed the tees and blew the remaining material off the tee. Sand will be used on the tees to help with drainage, root development, and compaction. A little fertilizer will be applied over the next couple of days as well. After the cold temperatures from over the weekend, the staff placed the water cooler and ice machine at the pro shop for your use. The staff completed our spring greens aeration Monday evening. Check out the video below for the all the details. For devices that do not go directly to the embeded video, use the link below. Piles of cores removed. Took about 3 full cart loads per green to haul away material. Blowing sand into the holes and then would brush and roll. Posted a video regarding our greens and the regulator that we are using to reduce the activity of the poa annua. We also aerated 18 green today in preparation of our work next week. I also sprayed our seedhead suppressant material as well today. We use a Growing Degree Day Model to determine when to spray the product. Take the average temperature for the day and subtract that number from the base which is 32. Add those numbers each day since mid-February. The range is around 220-500, I usually spray before we reach 300 growing degree days. Some years it works better than other years but we expect to have around 50% reduction in poa seedheads which helps bump the ball off line when putting over the next couple of months. The walk off area on 5 green. Mostly poa annua on this collar. Too much shade folks from too many trees. Need to do some sod removal but my nursery is not strong enough at this time. Maybe I will shorten some approach bent and use in this spot. Guys finishing dragging 18 green in our practice run for the aeration coming up Monday. Final surface. Looks pretty good. Vertical mowing lines in the surface as well. This past week we removed all the asphalt and dumped it in the back of the range. As I mentioned earlier, we plan on covering it up with the wasted bunker material to provide a nice berm at the back of the range. We are in the process of locating some fill dirt to cover the area and we will then need to seed and straw it. We have a considerable pile of gravel in the area yet that needs to be moved as well but it must get a little drier. We will use this material in the maintenance parking lot and for the road leading to the back of the range. At this time there are many more capitol needs than replacing the courts and the removal will improve the overall look of the grounds. We will still have the 2 clay courts that are maintained regularly for our tennis enthusiasts. Started using the backhoe to remove the material but progress was fairly slow. Rented a skid steer that you see in the background that helped speed up the removal considerably. Used the skid to pull up the material and used our loader to load the dead material. Skid also helped with that issue as well. Getting further along. Took us a little over 3 days to removal the courts. Gravel layer that will be hauled out when dry enough to get equipment in there. Carts are off the paths for the rest of the season unless wet conditions occur. We've also changed policy on driving carts. Ask that you use 90 degree but carts can go in rough. I will elaborate further next week in an email blast to the membership. Come see us this weekend, need to end em the fiscal year with some good momentum going into the new year. Our greens aeration is scheduled for Monday, March 23rd. I would expect that we will have approximately 4 greens to finish over Tues-Wed. We will be pulling a core during this aeration process with our verti-drain machine. After a few days and the sand begins to settle, we will begin dry mowing the greens during the middle of the day. I would expect the greens to be in normal playing condition within 2 weeks. More details on the work will be posted next week. What he says! Video from USGA regarding greens aeration including venting greens. I do one thing difference than the video. I aerate at the beginning of spring(mid-March) to encourage the greens to warm up and also disrupt the least amount of play. We are not as busy in March, and usually after The Masters is played the course becomes very busy with golfing activity. By that time, the greens are healed and you have no disruption during the prime playing time in the spring. With a smaller sized staff, it helps to get the work completed before the majority of the turf on the course is growing. Aeration requires all hands on deck, or at least the hands we have at the time. No, we will not have a member fundraiser for this attachment. As you might be aware, the gecc.org website is down right now as well as our email service. There was an issue with our domain name and the problem should be corrected in the next 24-48 hours. We are sorry for any inconvenience this creates for you. Please call administrative office if you need immediate assistance. Well, I guess it's great Irish weather but not for our clay soils. 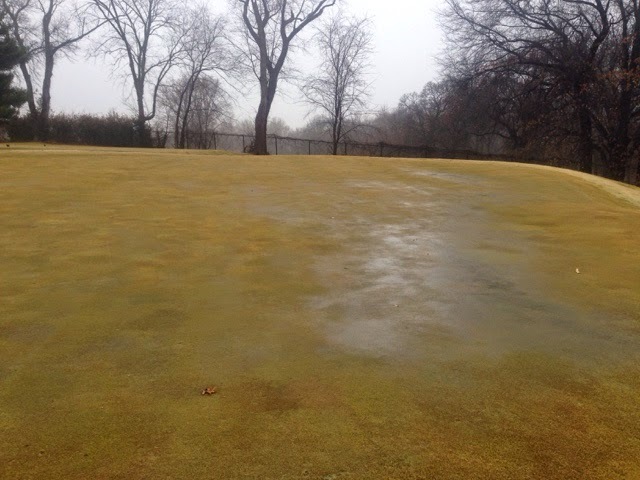 Even if I had 18 greens like 9 with drainage, it would be very difficult conditions with all features at Glen Echo saturated from the slow steady rain over the last 30 hours. I do not expect the course to open today. Sorry for the inconvenience. The warmer temperatures and the rain are greening the course up a little which is one benefit. Everyone wonders why we have frost delays. I have a good example of why we must stay off turf during frost. I believe these steps across 5 green were made by someone cutting through the property a couple of months ago. The steps go across the green but do not come back and I have not seen them on any other green. The turf was dormant when it happened but the marks are still visible. It will probably take at least a couple more weeks for the footsteps to disappear. Imagine if a person was walking on the green back and forth during putting. The footstep trail goes to the right of the flag all the way across the green. Close up view of the turf. You see very little green in the area of the print. Look at the green plants in the surrounding area starting to poke there head out and see what is happening. 2 green at 830 am. We did a quick walk mow of the practice green after lunch today. We plan to roll and mow the rest of the greens in the next couple of days as conditions allow. Becky is also preparing her 4" pots in preparation for plant plugs beginning to arrive this week. She spaces arrivals over the next 3 weeks to give us time to get them planted. They normally arrive on Wednesday and we want to make sure they are planted and in the greenhouse by the weekend. No, you've not clicked onto the NY Post website and this is not about an intern and a little blue dress. This is about the most important person in my life who together we will be celebrating 13 years of marriage tomorrow. Through about as difficult of a year a person could experience, she has shown great courage and strength through some circumstances that would break many. This post's main focus is to thank her for the support she gives to me in regards to my mistress Glen Echo CC. You all have heard of her. That beast of a course with narrow alley ways between a thousand trees to not very large greens with a little break on almost every putt. The only place to ever host an Olympic Games Gold Medal Match. The place where sunrises everyday see a dedicated group of staff keep the course ready for play for our passionate members and guests who love her like their own. A golf course is truly an intoxicating place for a superintendent and can be addictive in how it can hold you there on property. I have to plead guilty on many days and later afternoon/evenings to the charge. Her addiction is hard to break. You drive to this hole and you see something that needs to be prettied up and drive to the next hole and see another spot that needs touching up. You want her to look her best at all times. Many times I get caught up in her beauty and forget about what I have waiting for me at home. My bride has experienced on many occassions a phone call home at 5:00 p.m. saying I'm on my way home and another call at 7:30 saying I'm in my truck heading through Ferguson. Most phone calls end nicely but sometimes there's just a slight bit of sarcasm on the other end that I'm still not in my truck. The long shadows placed by the trees around the many hills and valleys of the course in the evening shows a multitude of beautiful shapes and curves. The sunsets can be spectacular up on 13 looking toward the west. You might not have seen this same beauty in the morning light or mid-day sun. You also see less people in general which adds to her tranquilty and peacefullness. In closing, my wife has shown great patience in dealing with my mistress not without at times stomping a foot or two and needing to get my attention. The work I do at Glen Echo would not be worth anything if I did not have a beautiful person to come home and share in the efforts I've made at work. So be forewarned, our work will still get done but you might not see me as much with my mistress in the evening shadows so that I can be home with my girl. A little less activity will leave a more peaceful and quite experience for you to enjoy when you come out for a quick 9 holes in the evening. Just came out at 4:00 p.m. Saturday and checked the course. Practice green will be ok to putt on tomorrow and of course mats are open on the driving ranges. 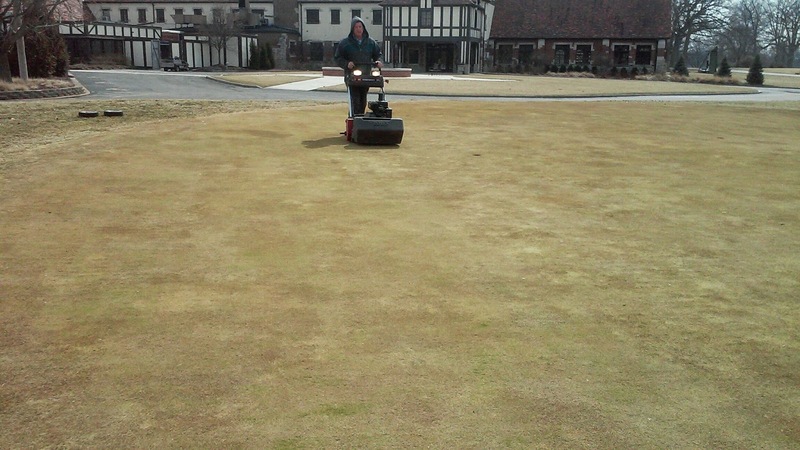 The practice green will be very slow because it still has its winter shaggy thing going since we have been unable to mow. Below are some videos I shot as I spun around the course. Saturated greens and freeze only an 1"-2" below the surface on a number of greens. Our intentions will be to get the course open Tuesday for play. As always, I appreciate your patience as we get the course opened properly for the season. I apologize the videos are a little shaky and unsteady but they serve their purpose in keeping you completely informed with what is happening on your course. The range mats will be opened on both ranges this weekend but the course will remain closed. We continue to get nice melting on our surfaces but still more greens areas covered than not and thawing is just beginning. I did check with our neighbors to the North at Norwood and they are closed through tomorrow. Believe they might have to remain closed like us. Video and photos below. Illustration of winter shade on a green. Pin Oak behind 11 green that I have recommended removal because of its proximity to green, limbs now overhang green creating excessive shade between 10-2 every day and during low sun times in fall, winter, spring nearly all day long. This view is on the left side of the tree pointing up toward 4. You can see the shade outline of the tree on the side of the picture. Area at least 20-30' off of green up the hill with snow because of the lack of sun. This is winter with less leaves on the tree, imagine full of leaves and its only getting bigger, Back of green holds retains water because of lack of sunshine. Severe wear and tear from walk on and walk off, disease potential and difficult to place hole in these areas because of excessive moisture making for severe spike marks and imprinting of shoes during main golf season. 7 green, shaded from mid-morning on by trees as you can see with the coverage almost completely engulfing the green. 2 green, shaded from trees behind green and 3 tee/cemetery property line. 1 green with ponding in front and down the right. Interesting video from Pennsylvania and a Bald Eagle fighting mother nature with her two eggs. Also link to State Wildlife Commission Live Eagle Cam. Over the past few years, there has been a movement to set up bee hives on golf courses. From year to year, you've seen pictures I've displayed of swarms forming on the grounds as they prepare to follow there queen to a nest. 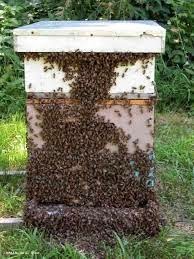 I've recently joined the Eastern Missouri Beekeepers Association and intend to manage a hive or two here at Glen Echo this season. I'm still trying to determine a good spot for the hive but believe the no mow area I started to the right of #11/#12 would be a good location. Out of the way and not near any play. It will be close to a water source and out in the middle of the property so the bees can disperse to all parts to find nectar and bring it back to the hive. Yes, my father started this work in the 80's and loved tending to his bees. My brother Delmar did some work as well with hives so I will utilize his expertise as well as a mentor from The Eastern Missouri Beekeepers Association . 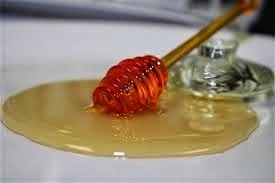 I would expect to have some honey at the end of the season for the Chef to use for your enjoyment. Be on the lookout over the next couple months regarding information about another exciting adventure I will have on the grounds at Glen Echo CC. As mentioned in the email blast I sent to all members, I expect the course to remain closed until early next week at the earliest. This is not a set in stone decision. If you are a gambler I'm guessing a 20% chance of opening. I feel the existing freezing weather conditions over the next few days, scientific evidence regarding playing on thawing greens and what I've seen with my six years of experience at Glen Echo leads to this decision. Below is the reasoning that I use in making this most difficult decision. At this time, the greens are frozen solid and still have snow/ice on them as do many parts of the course. The snow/ice must melt, the moisture must drain from the surface/thatch and the sand layer must thaw completely before opening this time of year. When greens begin to thaw, the surface will hold moisture like a sponge. The thawing must go deep enough into the sand profile allowing the water to evacuate from the thatch/surface area. Walking on soft and water logged surfaces could create severe imprinting of footprints into the surface of the green. These footprints could lead to bumpy and uneven surface for the first days and or weeks after they occur. Another issue we face with thawing surfaces and frozen profiles is the potential for root shearing or tearing that can occur. The thawed surface moves under our feet as we walk and the frozen subsurface stays in place. This action can lead to long over wintered roots breaking at or near the surface. Instead of the root beginning its spring growth long and healthy, it must begin anew and use excessive amounts of energy to heal and grow. A majority of excess energy is stored in the fall to early winter in a grass plant. This energy is stored in stems and the crown of the plant. A healthy plant uses less energy. A plant damaged in late winter and or early spring uses more energy than normal and can deplete stored energy. As the heat of summer increases, roots slow and or stop their growth. A root that is fully mature simply makes for a much better grass plant that can withstand more stress. A shorter rooted plant is subjected to more water stress, disease incidence and wear and tear issues from the work and play that takes place on its surface.. 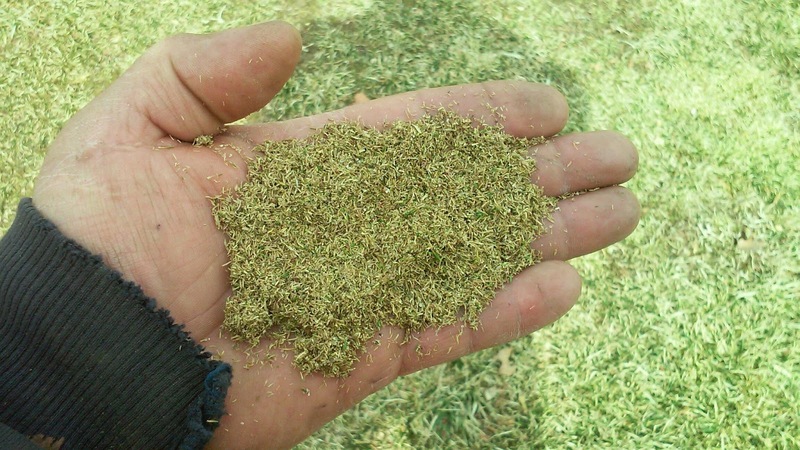 Opening greens to early can be deadly for a green consisting of millions of 1/8" tall plants. The plants get walked upon, driven on by equipment, struck with balls from hundred of yards away, mowed, attacked by disease/pests, and pounded by unmerciful heat. I will check the greens each day over the weekend as they begin to thaw. We still have aeration holes open on the greens that could help us drain more effectively. I appreciate your understanding during this process. Below are a number of holes and greens so you can see where we are so far with our snow/ice cover. I will provide updated photos on Friday. Whether you want to see the weather stats or not for February, here they are. Record high for the day on 2/7 of 71 degrees. Previous record of 70 from 2009. Record low maximum of 18 on 2/19. Previous was 19 in 1929. Just as a reminder, last year on March 2-4, we had temperatures of 25-7, 24-4 and 39-14 so not a lot of difference in the two years. 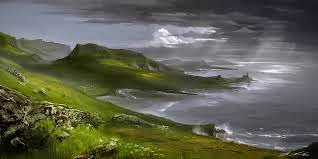 It will get better, mother nature promises that it will! Article of the effort and work it took to repair PGA National for Sunday's play.